Today the textile is the largest and most important industrial sector of Bangladesh, accounting for about 80% of our national exports. To meet the rising demand of textile graduate, specially expertise in the field of textile processing machinery, Bangladesh University of Textiles has launched the department of Textile Machinery Design and Maintenance under the Faculty of Science and Engineering from session 2015-16. This department is aimed at developing a focused graduate in the field of textile engineering having proficiency with the design, production process, controlling and maintenance of textile machinery. Our programs prepare the students to accept the emerging challenges in the textile industry with quality education. The well-organized curriculum follows the modern, practical oriented and up to date education system which competes with that of the developed countries in the world. The courses are run by semester system and each year consists of two semesters. At present this department is offering four year undergraduate program entitled B.Sc. in Textile Engineering (Textile Machinery Design & Maintenance). The department has enriched laboratory and takes the facilities from yarn, weaving, knitting, apparel, dyeing, electrical, mechanical, computer and testing laboratory. We collaborate with reputed universities, textile industries, textile research institutes or organizations in home and abroad. Workshops, seminars and textile mill visits are organized to enrich the ken of students and faculty members with the latest technological advancements. Textile and garments is the largest export oriented sector in Bangladesh. The development of economy of Bangladesh and growth of export are highly dependent on the ability of textile industry to compete internationally with finest products. Cutting edge machinery maintained by skillful engineers are the most important prerequisites for perfect products. Our mission is to serve the textile industry and economy of Bangladesh on a long term basis by delivering excellent knowledge and highly skilled individuals. A clear conception on theoretical course content along with hands-on experience on machinery design and maintenance in our highest priority. This department includes experienced and brilliant faculty members from diversified disciplines. Excellent educational background and years of experience in teaching, research and hands-on experience on respective sectors made them highly competent. Moreover, this department offers its students state of the art laboratory facility to learn and research. Higher education and research for textile machinery. Increasing research and lab facilities. To enhance collaboration between academia and industry. Increasing undergraduate students and, launching MSc and PhD program. Integrating textile, electrical, mechanical and computer knowledge. For details and updates on admission procedure please visit this page. To create skilled manpower for textile machinery design, manufacturing and maintenance. To create leadership in textile machinery marketing. Dr. Shaikh Md. 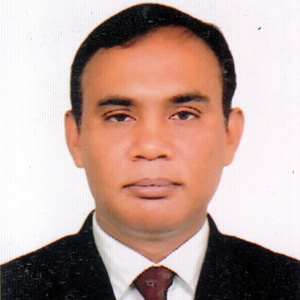 Mominul Alam is working as a Professor at Bangladesh University of Textiles (BUTEX). Currently, he is the Dean of Faculty of Science & Engineering, BUTEX. He was the former Head of the Department of Fabric Manufacturing Engineering and Department of Textile Machinery Design & Maintenance. Previously, he was a faculty member of College of Textile Technology. Earlier, he worked in famous national and multinational industries as engineer and consultant. In his highly successful career, he holds two international patents. Moreover, he published a book, several papers and presented in numerous international conference. Currently, He is a reviewer of international journals. He achieved Grant Scholarship from Ministry of Education, Bangladesh, 2001. Monbukagakusho Scholarship, 2004, Japan. The Aid for the Research Project of Students (ARPS), Research Center for Future Technology, TUT, Japan. Visit Shanghai Textile Exhibition, 2012, Bombay Textile Exhibition, 2013, Shanghai Textile Exhibition, 2014, Industrial Visit in Thailand, 2015, ITMA, 2016 in Milan, Italy. He is a Life Member of ITET, General Member, SPSJ, Japan and Life Fellow, IEB. Prof Dr. Shaikh Md. Mominul Alam achieved his Doctorate of Functional Materials Engineering from, Toyohashi University of technology (TUT), Japan. Earlier, he completed his Master of Materials Engineering from TUT, Japan and M.Sc. in Textile Studies from Bolton University, UK. Previously, he completed B.Sc. in Textile Technology from Dhaka University. Preparation and properties of Polyimide-silica-polydimethylsiloxane hybrids. Organic-inorganic hybrids containing polyimide, organically modified clay and in-situ formed polydimethylsiloxane. Preparation and characterization of Rigid Polyimide-Clay-polydimethylsiloxane hybrid. Preparation of Polyimide-Clay Nanocomposite and their Performance. Preparation and Performance of Nano-hybrids synthesized from Polyimide and Silica. Effect of in-situ formed polydimethylsiloxane on the properties of polyimide hybrids. Preparation and properties of polyimide hybrids with silica and polydimethylsiloxane. Organic-Inorganic Hybrids of Polyimide and In-situ formed Inorganics. Polyimide Nano-Hybrid: Enhance Mechanical-Thermal Performance. Synthesis of Nano-Hybrids from Polyimide and in-situ formed Polysiloxanes and their performances. Polyimide – Polysiloxane Nanohybrid : Synthesis and Performance. Novel Binary and Ternary Polyimide Hybrids Using Sol-gel Process. Patent on PI-hybrid, Patent No. 06038P. Patent on PI-hybrid, Patent No. 06057P. Raising, Shearing and Sueding Machine. Polyimide-Clay-Siloxane hybrid composite: Synthesis and Characterization, S. M. M. Alam, T. Agag, and T. Takeichi, 12th International Conference on Polymers and Organic Chemistry, Okazaki, Japan, July 2-7, 2006. Novel Polyimide-Clay-Siloxane Hybrids through Sol-gel process, S. M. M. Alam, T. Agag, and T. Takeichi, 4th International Conference on Electrical & Computer, ICECE 2006, Dhaka, Bangladesh, December 19-21, 2006. Novel Polyimide Hybrids: Processing and Performance, T. Takeichi, S. M. M. Alam, and T. Agag, 9 th Field-Wise Seminar (AUN/SEED-Net) on Materials Engineering, Ho Chi Minh City, Vietnam, January 8-9, 2006. Preparation and properties of Polyimide-Clay-Siloxane Hybrid, T. Takeichi, S. M. M. Alam, and T. Agag, Asian Conferrence and 7th Japan-China Seminar on Polyimides and advanced Aromatic Polymers(AJCP-2006), Tokyo institute of Technology, Tokyo, Japan, September 12-13, 2006. Novel Polyimide-Inorganic Hybrids: Preparation and Properties, T. Takeichi, S. M. M. Alam, and T. Kawauchi, The 10th Conference on Science and Technology, Ho Chi Minh City, Vietnam, October 25-26, 2007. Preparation and Properties of Polyimide/Siloxane Hybrids, T. Takeichi, S. M. M. Alam, and T. Kawauchi,1st International Caucasian Symposium on Polymers and Advanced Materials, September 11-14, 2007. Organic-Inorganic Ternary Hybrids: Synthesis and Characterization, S. M. M. Alam and T. Takeichi, International conference on mechanical engineering 2007 (ICME 2007) Dhaka, Bangladesh, December 29-31, 2007. Novel Binary and Ternary Polyimide Hybrids Using Sol-gel Process, T. Takeichi, S. M. M. Alam, and T. Kawauchi, International Symposium on Polyimides and High Performance Polymers, STEPI 8, Polytech Montpellier, University of Montpellier 2, Montpellier, France, 9-11 June, 2008. Preparation of Polyimide / Polysiloxane Hybrid, S. M. M. Alam, Y. Shirai, T. Kawauchi, and T. Takeichi, Polycondensation 2008. International Symposium, 8-11 September 2008, Tokyo Institute of Technology, Japan. Organic-Inorganic Hybrids of Polyimide and In-situ formed Inorganics, S. M. M. Alam, Y. Shirai, T. Kawauchi, and T. Takeichi, 5th International Symposium on High-Tech Polymer Materials Synthesis, Characterization and Applications (HTPM-V), Fragrant Hill, Beijing, China, 26-31 October, 2008. Preparation of Polyimide-Polysiloxane Hybrid and its Property, T. Takeichi, S. M. M. Alam, Y. Shirai, and T. Kawauchi., 4th International Symposium on Desigining, Processing, and Properties of Advanced Engineering Materials ( ISAEM-2008), Nov. 18-21, 2008, Nagoya, Japan. Polyimide-Clay Nanocomposites: Synthesis and Characterization Shaikh Md. Mominul Alam, 5th International Conference on Electrical & Computer, ICECE 2008, Dhaka, Dec.20-22, 2008. Synthesis and Characterization of Organic-Inorganic hybrids from rigid PI and in-situ formed silica, Shaikh Md. Mominul Alam, International Conference on Chemical Engineering 2008(ICChE2008),29-30December,Dhaka, Bangladesh. Synthesis and Characterization of Polyimide hybrids with in-situ formed Polysiloxane, Shaikh Md. Mominul Alam, Takehiro Kawauchi, and Tsutomu Takeichi, The 1st FAPS (Federation of Asian Polymer Societies) Polymer Congress, October 20-23, 2009; Nagoya, Japan. Preparation of Polyimide Nanocomposite Using Aromatized Montmorillonite, Shaikh Md. Mominul Alam and Tsutomu Takeichi, 54th SPSJ Annual Meeting, Yokohama, Japan, May 25-27, 2005. Preparation and properties of Polyimide-Clay hybrids containing insitu formed Polydimethylsiloxane, Shaikh Md. Mominul Alam, Tarek Agag, and Tsutomu Takeichi, 55th SPSJ Annual Meeting, Nagoya, Japan, May 24-27, 2006.27-30, 2006. Preparation and properties of Polyimide-Clay hybrids containing insitu formed Polydimethylsiloxane, Shaikh Md. Mominul Alam, Tarek Agag, and Tsutomu Takeichi, The 23rd Conference of Photopolymer Science and Technology, Chiba, Japan, June 27-30, 2006. Novel Organic-Inorganic hybrids prepared from Polyimide-Clay-Siloxane, Shaikh Md. Mominul Alam, Tarek Agag, and Tsutomu Takeichi, 55th SPSJ Symposiums on Macromolecules, Toyoma, Japan, September 20-22, 2006. Preparation and properties of Polyimide hybrid using sol-gel process, Shaikh Md. Mominul Alam, Takehiro Kawauchi, and Tsutomu Takeichi, 56th SPSJ Annual Meeting, Kyoto, Japan, May 29-31, 2007. Preparation and properties of Polyimide-silica-Polydimethylsiloxane hybrids, Shaikh Md. Mominul Alam, Takehiro Kawauchi, and Tsutomu Takeichi, The 24th Conference of Photopolymer Science and Technology, Chiba, Japan, June27-30, 2007. Preparation and properties of Polyimide/silica/polysiloxane hybrids, Shaikh Md. Mominul Alam, Takehiro Kawauchi, and Tsutomu Takeichi, 56th SPSJ Annual Meeting, Nagoya, Japan, Sep.19-21, 2007. Polyimide and in-situ formed Polysiloxane Hybrid, Y. Shirai, Shaikh Md. Mominul Alam, Takehiro Kawauchi, and Tsutomu Takeichi, Conference on Aromatic Polymer, Toho University, Japan, 2007. Preparation and Properties of Polyimide/polydimethylsiloxane Hybrids, Y. Shirai, Shaikh Md. Mominul Alam, Takehiro Kawauchi, and Tsutomu Takeichi, 57th SPSJ Annual Meeting, Yokohama, Japan, May 28-30, 2008. Novel Organic-Inorganic Hybrids from Polyimide using Sol-gel method, Shaikh Md. Mominul Alam, Takehiro Kawauchi and Tsutomu Takeichi, 16th SPSJ conference on Polyimide and Aromatic Polymer, 5th December 2008, Toyohashi University of Technology, Toyohashi, Japan. Preparation and Properties of Polyimide/Polysiloxane Hybrids using Sol-gel Process, Shaikh Md. Mominul Alam, T. Kawauchi, T. Takeichi, 58th SPSJ Annual Meeting, Kobe, Japan, May 27-29, 2009. Preparation and Properties of Polyimide Hybrids containing in-situ formed Polysiloxane by Sol-gel Process, Shaikh Md. Mominul Alam, T. Kawauchi, T. Takeichi, 58th Symposium on Macromolecules, Kumamoto, Japan, Sep16-18, 2009. Nano-Hybrids of Polyimide by in-situ formed Polysiloxanes, Md. Hafezur Rahaman, Ismat Ara, Shaikh Md. Mominul Alam, International Conference on Mechanical Engineering (ICME2009), Dhaka, Bangladesh, 2009. Polyimide Nano-Hybrid: Enhance Mechanical-Thermal Performance, Shaikh Md. Mominul Alam, Ismat Ara, Mashud Ahmed, International Conference on Mechanical Engineering (ICME2009), Dhaka, Bangladesh, 2009. Preparation and Properties of Polyimide and Inorganic Hybrids, Dr. Shaikh Md. Mominul Alam, 1st International conference on Textile, China-Bangladesh Conference Center, 25-28th February,2010. A N M Bazlur Rashid is working as an Assistant Professor (Computer) in the Department of Textile Machine Design & Maintenance at Bangladesh University of Textiles since 2012. He achieved his M.Sc. from Bangladesh University of Engineering & Technology in 2010. Earlier, he completed his graduation for Rajshahi University of Engineering & Technology in 2004. He is currently on higher study leave and pursuing PhD in Australia. In his highly successful career, he published two books, several journal papers and conference proceedings. Mr. Rashid achieved his M.Sc. Engineering Degree in Information & Communication Technology in 2010 from Bangladesh University of Engineering & Technology, Dhaka-1000, Bangladesh. He obtained his B.Sc. Engineering in Computer Science & Engineering in 2005 from Rajshahi University of Engineering & Technology, Rajshahi-6204, Bangladesh. Challenging Issues of Spatio-Temporal Data Mininig. A.N.M. Bazlur Rashid and Md. Anwar Hossain. Volume-03, Number-04, March-2012. Computer Engineering and Intelligent Systems. Performance Evaluation of MPEG-4 Video Transmission over IP-Networks: Best Effort and Quality-of-Service. Md. Anwar Hossain and A.N.M. Bazlur Rashid. Volume-03, Number-03, February-2012. Computer Engineering and Intelligent Systems. Analysis of Dual Core Hexagonal PCF Based Polarization Beam Splitter. M. R. Khatun, M. S. Islam and A.N.M. Bazlur Rashid. Volume-03, Number-03, February-2012. Computer Engineering and Intelligent Systems. Dynamic Materialized View Selection Approach for Improving Query Performance. A.N.M. Bazlur Rashid, M. S. Islam and A.S.M. Latiful Hoque. Page: 202-211, March-2011. Second International Conference on Advances in Communication, Network, and Computing, CNC 2011. Volume-142. Communications in Computer and Information Science (CCIS), Springer. An Incremental View Materialization Approach in ORDBMS. A.N.M. Bazlur Rashid and M. S. Islam. Page: 105-109, March-2010. 2010 International Conference on Recent Trends in Information, Telecommunication and Computing. Role of Materialized View Maintenance with PIVOT and UNPIVOT Operators. A.N.M. Bazlur Rashid and M. S. Islam. Page: 951-955, March-2009. 2009 IEEE International Advance Computing Conference. Spatio-Temporal Data Mining: Concepts and Challenges. A.N.M. Bazlur Rashid, LAMBERT Academic Publishing: Germany, October-2012. The 0-1 Knapsack Problem: A solution by Genetic Algorithm. A.N.M. Bazlur Rashid, VDM Verlag Dr. Mueller:, October-2010. Mr. Md. 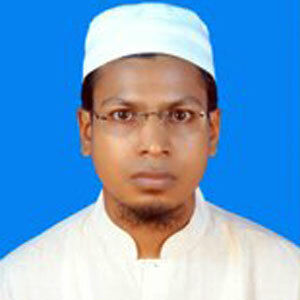 Asaduz-Zaman is presently working as assistant professor at Bangladesh University of Textiles (BUTEX). He started his career as a lecturer in this university. He has completed his graduation from department of Electrical & Electronic Engineering, Rajshahi University of Engineering & Technology. He is very dedicated to his profession and conducts different courses in undergraduate level. Also currently he is the Head of the department of Textile Machinery Design & Maintenance. Renewable energy, distributed generation, micro-grid & power system stability. Industrial electronics, control system & maintenance of textile machinery. Mr. Asad has completed his graduation from department of Electrical & Electronic Engineering, Rajshahi University of Engineering & Technology. 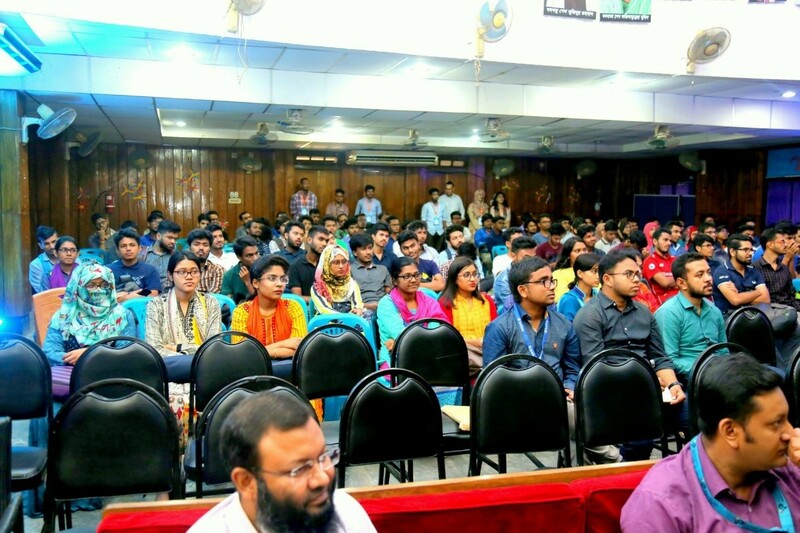 Asaduz-Zaman, A. H. Chowdhury, ‘’Optimum economic dispatch of interconnected microgrid with energy storage system’’, International Conference on Electrical Engineering and Information Communication Technology (ICEEICT), Dhaka, pp. 1-5, 21-23 May 2015. A. Motin, Md. Imran Hasan , Md. Asaduz-Zaman, ‘Design and optimization of a low cost multi band microstrip patch antenna for K-band, Ku-band and X-band applications’’, 15th International Conference on Computer and Information Technology (ICCIT), Chittagong, pp.615 - 620, 22-24 Dec., 2012. Mr. Tanjheel Hasan Mahdi is working as a lecturer in the department of Textile Machinery Design and Maintenance at Bangladesh University of Textiles. 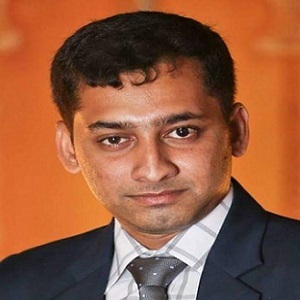 Earlier he started his career as a lecturer in BUBT after completing his graduation from BUET. After a while, he went for higher studies and pursued his M. Sc. from Alabama, USA. 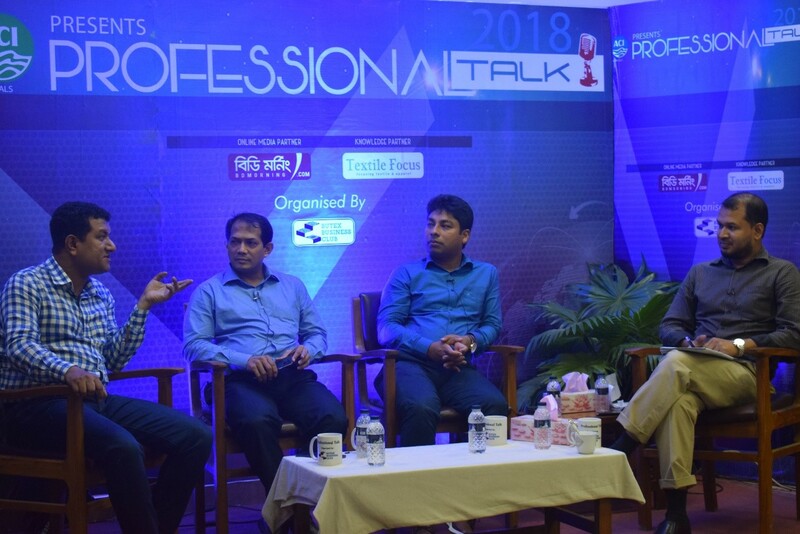 After returning, he joined as a lecturer in Sonargaon University, where, He acted as a coordinator of Department of Mechanical Engineering for more than a year. His high aptitude for teaching and research resulted in several international publications. Man-made fibers; such as carbon fiber, glass fiber and aramid fiber. Design and maintenance of textile machinery. Mr. Tanjheel Hasan Mahdi completed his M. Sc. from Tuskegee University, Alabama, USA. His research was on mechanical properties characterization of nano-composites. Earlier, he completed his graduation from Bangladesh University of Engineering and Technology. Characterization of Mechanical and Viscoelastic Properties of SC-15 Epoxy Nanocomposites Reinforced With Multi-Walled Carbon Nanotubes, Nanoclay and Binary Nanoparticles. Tanjheel H. Mahdi, Mohammad E. Islam, Mahesh V. Hosur, Alfred Tcherbi-Narteh and S. Jeelani. ASME 2014 International Mechanical Engineering Congress and Exposition, Montreal, Quebec, Canada. November 14–20, 2014. pp. V014T11A031; 7 pages. doi: 10.1115/IMECE2014-36176. Low Velocity Impact Characterization of Nanoclay and MWCNTs Binary Nanoparticles Modified Carbon/Epoxy Composites Subjected to Marine Environmental Conditioning. Mohammad E. Islam, Tanjheel H. Mahdi, Mahesh V. Hosur, Alfred Tcherbi-Narteh and S. Jeelani. ASME 2014 International Mechanical Engineering Congress and Exposition, Montreal, Quebec, Canada. November 14–20, 2014. pp. V014T11A030; 7 pages, doi: 10.1115/IMECE2014-36173. Synergistic Effects of Nanoclay and MWCNTs on the Performance of Epoxy and Carbon Fiber Reinforced Epoxy Composites. H. Mahdi, M. E. Islam, M. V. Hosur, S. Jeelani, Nanotechnology-Smart Materials, Composites, Applications and New Innovations, 3rd International Conference, NANOCON 014, 14-15, October 2014, Pune, India. Evaluation of Fatigue Properties of Carbon Fiber Reinforced Epoxy Composites Modified with Nanoclay. H. Mahdi, M. E. Islam, M. V. Hosur, S. Jeelani. First World Conference on Fracture and Damage Mechanics: Metals, Glass, Ceramics, Semi-conductors, Polymers, Alloys, Composites, Nanocomposites, Gels, and Adhesives (FRACTURE 2014): August 9- 11, 2014 at Mahatma Gandhi University, Kottayam, Kerala, India. Characterization of Mechanical and Viscoelastic Properties of Carbon Fiber Reinforced Epoxy Composites Modified with Multi-Walled Carbon Nanotubes, Nanoclay and Binary Nanoparticles. H. Mahdi, E. Islam, M.V. Hosur, S. Jeelani. CMAX-SAMPE Conference, October 14, 2014, Orlando, Florida, USA. Fabrication and performance of carbon/epoxy composites with hybrid of nanoclay AND MWCNTs. Mahesh Hosur, Tanjheel Mahdi, Md. Ekramul Islam , Alfred Tcherbi-Narteh and Shaik Jeelani. 20th International Conference on Composite Materials, Copenhagen, Denmark, 19-24th July, 2015. Characterization of Carbon Fiber Reinforced Epoxy Composites Modified with Nanoclay and Carbon Nanotubes. Md Ekramul Islam, Tanjheel H. Mahdi, Mahesh V. Hosur, Shaik Jeelani. 6th BSME International Conference on Thermal Engineering (ICTE 2014), Dhaka, Bangladesh. Procedia Engineering, ELSEVIER, 105 (2015) 821 – 828. doi: 10.1016/j.proeng.2015.05.078. Low Velocity Impact Characterization of Carbon Fiber Reinforced Epoxy Composites Modified with Multi-Walled Carbon Nanotubes, Nanoclay and Hybrid Nanoparticles. H. Mahdi, E. Islam, M.V. Hosur, S. Jeelani. SAMPE conference. October 21-24, 2013, Wichita, Kansas, USA. An aspect of biogas plants at Pabna district in Bangladesh. Mahdi, T.H., Hasib, Z.M., Ali, M., Sarkar, M.A.R. 2nd International Conference on the Development in Renewable Energy Technology. January 5-7, 2012, Dhaka, Bangladesh. Fabrication and Performance Test of a Solar Tracking Intelligence System Using MATLAB Graphical User Interface. M. Hasib, T.H. Mahdi, A. Morshed and M.A.R. Sarkar. International Engineering conference on Hot Arid Regions (IECHAR 2010), 1-2 March, Al-ahsa, Kingdom of Saudi Arabia. Experimental Analysis on the Heat Transfer Performance of an Ammonia-charged Pulsating Heat pipe. H. Mahdi, S. Ahmed, M.A.Y. Khan, M.M. Razzaque and C.M. Feroz. Conference on Engineering Research, Innovation and Education 2011 (CERIE 2011), 11-13 January, Sylhet, Bangladesh. Mr. Md. 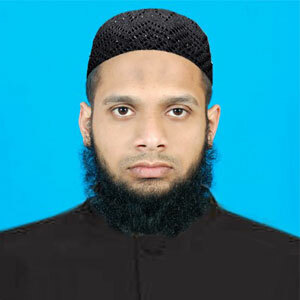 Mafizul Islam has diversified professional experience. After completing his graduation he served about one year as Assistant Engineer at one of the mega projects of Bangladesh private power sector at S. Alam 1320 MW (2x660) Coal Fired Thermal Power Project. Where he gained diversified professional qualification including design of LV, MV & HV power system and project implementation work. Thereafter he served couple of months as Assistant Engineer at China Northeast Electric Power Engineering & Services Co. Ltd. in the facility of Summit Bibiyana-II 341 MW Combined Cycle Power Plant. Mr. Islam also participated different professional training programs and seminar in home and abroad. He has professional affiliation with Institute of Engineers Bangladesh (IEB). In Jan, 2016, Mr. Islam started his new journey of his career by joining at Bangladesh University of Textiles as Lecturer (Electrical) in the department of Textile Machinery Design and Maintenance. At present he is involved with different research groups. He enjoys co-relating his professional and research experience in teaching and research work. 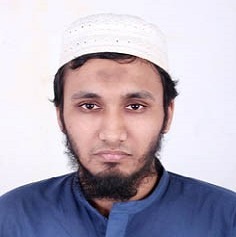 Mr. Islam Has completed his graduation in 2013 in Electrical and Electronic Engineering (EEE) from Khulna University of Engineering and Technology (KUET). He received university technical scholarships for academic excellence. “The effect of quantum dot size, interdot distance and indium content on InxGa1–xN/GaN QD–IBSC”, EICT’2013, KUET, Bangladesh. Ariful Haque Ashik is working as a Lecturer in Textile Machinery Design and Maintenance Department at Bangladesh University of Textiles (BUTEX) .After his graduation ,he has closely supervised the production ,maintenance and quality of a highly reputed 100 % Export Oriented Denim factory in Bangladesh, where his goal was to increase the machine efficiency by proper maintenance and producing highest quality textile products .Also he has closely monitored the special yarn manufacturing machines, direct warping machines , slasher sizing and dyeing machines, modern weaving machines to achieve maximum production with highest efficiency and quality in that factory. Ariful Haque Ashik has completed his BSc in Textile Engineering (Yarn Engineering Dept.) from Bangladesh University of Textiles (BUTEX). He has completed his HSC (2011) from Notre Dame College, Dhaka and SSC (2009) from Government Laboratory High School, Dhaka. 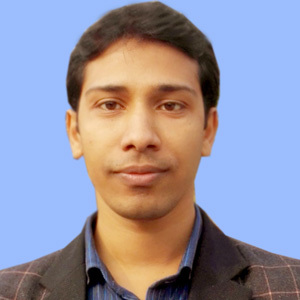 Tarik Reza Toha is working as a Lecturer in Department of Textile Machinery Design and Maintenance (TMDM) at Bangladesh University of Textiles (BUTex) since December 02, 2018. 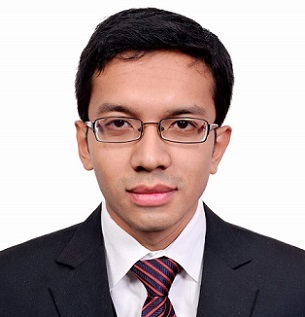 Previously, he has worked as a Research Assistant in the Department of Computer Science and Engineering (CSE) at Bangladesh University of Engineering and Technology (BUET) under the supervision of Professor A. B. M. Alim Al Islam. He has been awarded with Fellowship for Research in ICT by the ICT Division, Govt. of People’s Republic of Bangladesh. 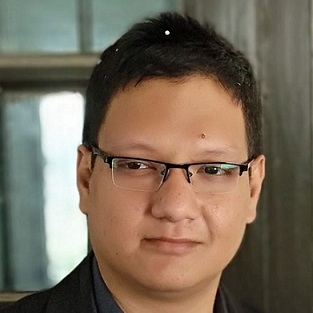 Tarik Reza Toha is continuing his Master of Science in Computer Science and Engineering at BUET. He has also completed his Bachelor of Science in Computer Science and Engineering from the same university. His B.Sc. research topic was to green the cluster computing systems. Now, his M.Sc. research topic is to develop an intelligent traffic system for the specialized road traffic system of Dhaka City. For this topic, he has been awarded with ICT Fellowship by the ICT Division. R. Toha, A. M. Ishmam, M. H. Islam, M. A. A. Maruf, S. S. Nandi, A. Chakraborty, S. Estyak, M. A. A. Alamin, and A. B. M. A. A. Islam, “An Approach Towards Greening the Digital Display System,” in Proceedings of the 4th International Conference on Networking, Systems and Security (NSysS). 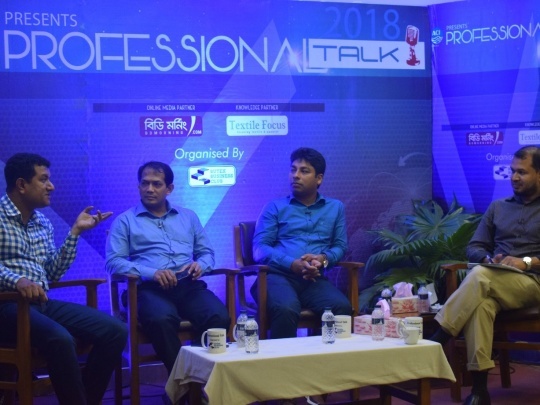 Dhaka, Bangladesh: IEEE, December 2017, pp. 1–6. [Online]. Available: https://doi.org/10.1109/NSYSS2.2017. Md. 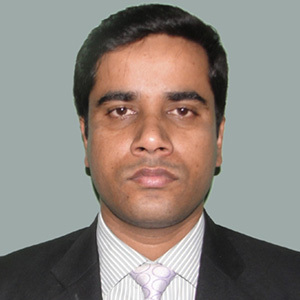 Golam Kibria is working as a Lecturer (Wet Process) in Department of Textile Machinery Design and Maintenance (TMDM) at Bangladesh University of Textiles (BUTex) since December 02, 2018. Previously, he has worked as a Lecturer (Wet Process) in Department of Textile Engineering at Northern University Bangladesh from May 06, 2017 to November 30, 2018. He has also worked as a Production Officer (Dyeing) at Color City Ltd, DBL Group and Executive (Dyeing) at FM Yarn Dyeing Ltd from December 20, 2014 to December 25, 2016 respectively. Md. Golam Kibria is continuing his Master of Science in Textile Engineering (Wet Processing) at BUTex. He has also completed his Bachelor of Science in Textile Engineering (Wet Processing) from the same university. Previously, he studied at Adamjee Cantonment College and Kurmitola High School. Now, his M.Sc. research topic is to improve the physical and chemical properties of natural textile fibres by mangosteen extract.